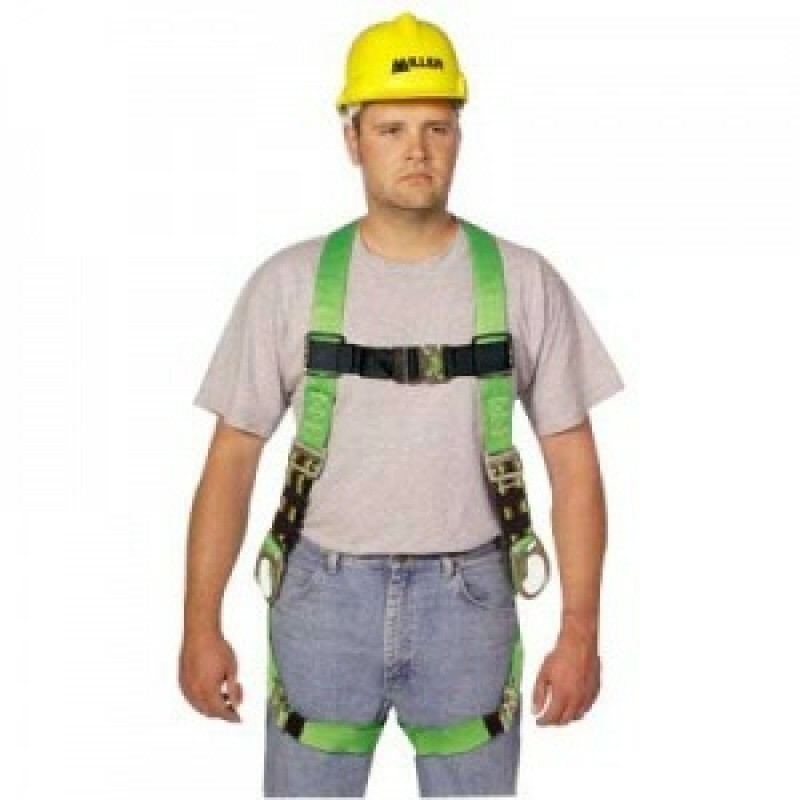 Easy-to-wear, the Miller Ultra harnesses provide greater comfort and increased mobility, while improving safety and reducing worker fatigue. The DuraFlex Python Ultra harness features cushioned tubular webbing in the shoulder straps for comfort around the neck and stretch webbing in the lower torso straps which move with the body for greater flexibility, mobility and less fatigue. Features sleek, quick-connect buckles on the chest and leg straps for easy donning; specially-woven, breathable, comfort-touch back D-ring pad for greater comfort and tangle-free donning; and webbing protected with Teflon HT for up to 25% longer service life. Includes friction buckle shoulder straps and belt loops to accommodate a tool belt.